When Lady Margaret Hutchinson abandons her illegitimate daughter in 1863 she does not foresee the consequences of her actions. 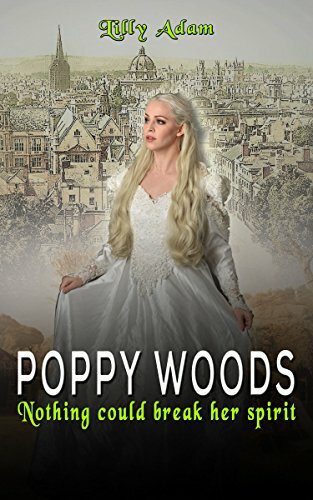 Set in Victorian Oxfordshire the story of Poppy Woods tells of a courageous girl, who from her very first breath suffers neglect and cruelty. Illegally Adopted by the tight fisted and merciless Sidney Woods and his lazy wicked wife, life in the quiet hamlet of Hurst proves to be a daily challenge for Poppy, only softened by her caring neighbours who take it upon themselves to keep a watchful eye over her. A close and loving bond with the Greenfield family is formed over the years. Ella Greenfield is like a true sister, and a childhood love for Arthur Greenfield blossoms, but when relationships turn sour and Poppy feels forced to leave the only home she has ever known, a mysterious woman finds the perfect opportunity to step in. As the past catches up with the cold hearted Lady Hutchinson, the risk of her dark secrets being exposed determines her to once again take drastic action. How far is she prepared to go? Yearning for a normal life and her true love, it is Poppy's inner strength and bravery which enhance her determined spirit.